Weddings are one of few events in life you will remember for a lifetime, so it is important to ensure that the memories you make are extra special. Everything from your dress to the food you serve and how family and friends send off the bride and groom should be fairly tale perfect. No matter how or where you plan your big day, wedding sparklers can end your day with the sort of perfection you would expect for your wedding. If you are looking for a sendoff that is unique and fun, sparklers are a great finale to one of the most memorable days of your life. Wedding guests have been throwing rice at the new couple for centuries. This tradition first started in ancient Rome and it wished fertility for the newlyweds. Rice is messy though and many couples are ready for something more modern. Wedding sparklers are the perfect solution, they provide a no mess way to send off the happy couple, while offering beautiful brilliant silver and gold sparks as a wish for a bright and happy future. Sparklers range in size from 10 inch to 36 inches in length. The longer the length of the sparkler the longer they will burn. The 36 inch sparklers will burn for a full 3 to 5 minutes, giving guests and the newlyweds plenty of time to greet each other and chat, even as they celebrate the beginning of a bright new future for the couple. Wedding day sparklers can be used as wedding favors as well as using them as a sendoff for the bride and groom. If you have a large wedding party, wedding sparklers make an affordable gift for each of your guests. Add a couple sparklers to each place setting complete with a tag and a ribbon, and you will give your guests something fun and memorable to take home with them. Keep a couple of buckets at the door filled with more wedding day sparklers that can be used as the bride and groom make their exit. Each wedding sparkler has an easy to light tip to ensure that everyone is ready with their sparklers as the bride and groom get ready to leave. Much better than rice, you will love the fun and excitement wedding sparklers add to your celebration. It is your special day, you do not have to do the same old things that every other couple has done. 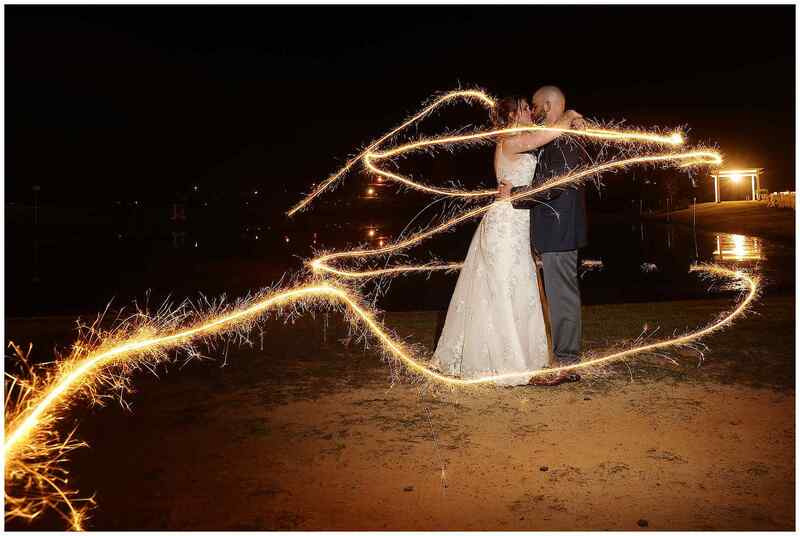 If you really want your wedding to stand out, wedding sparklers is a step in the right direction. These sparklers are specially made to have low emissions of smoke so they won’t affect your wedding pictures. Make sure to keep a bucket of water on hand, for placement of the used sparklers after the exit. Otherwise just enjoy wedding sparklers’ fabulous expression of joy and celebration in honor of the bride and groom.